Pseudofolliculitis Barbae – What is it? Last week, I spoke a little bit about acne and how much it seems to take over the lives of adolescents. 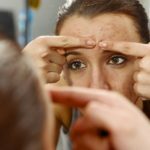 Oddly enough, acne isn’t exclusive to the young, as it seems that many people still experience the onset of pimples as adults. The only difference is that when one is older, he or she isn’t as freaked out about it as they once were. Or are they? It can be argued that acne becomes a bigger problem for those that are long past their high school days. Perhaps, the mere idea that they “shouldn’t” have acne is one of the reasons for this. Of course, acne is far from the only skin condition that many people have issues with as they get older. 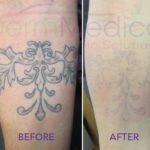 Brown spots, sun damage and the ever-dreaded skin cancer are all concerns for adults, especially for those with lighter or more sensitive skin. I have a friend named Eddie who, now in his 30s, is deathly afraid of shaving. I had no idea that the reason for his beard was that – as he puts it – razors “rip” his face off! To the best of my knowledge, razor bumps and acne are two different things. Razor bumps are also known as Pseudofolliculitis barbae. They basically exist due to ingrown hairs which are most common in men with curly hair that may tend to curl into the skin instead of straight out of the follicle. Eddie claims that he has “tried everything”. From creams and moisturizers to something he described as a cross between a glue stick and a deodorant bar to rub along his neck and cheeks after a shave! Unfortunately, these methods have not helped to do away with the irritation and redness that has plagued him since the beginning of his shaving days. I know that this certainly isn’t the case with all men, and I’m sure that each case is different. After all, there are so many different hair and skin types that the causes and solutions for each situation will vary from person to person. My recommendation, of course, would be to visit your dermatologist to learn about possible treatments. I’m pretty sure that a growing a full grown beard isn’t the only solution to avoiding razor bumps. Eddie’s situation certainly has me thinking though. I wonder if Photodynamic Therapy would work? What is Photodynamic Therapy, you ask? Ah, my first cliffhanger! I’ll tackle that one in my next blog.